But the best thing about being a bub isn’t any of these things. It’s actually Bubba Blue’s gorgeous Cot Sheet Sets. 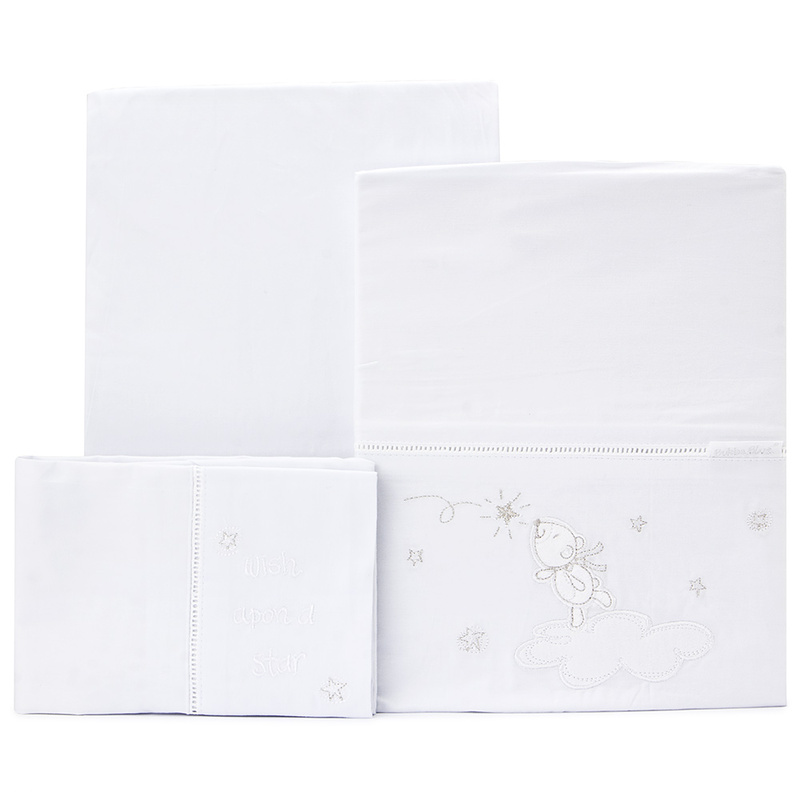 These comfortable, soft-as-a-cloud sheets are what being a baby is all about. Created from luxurious 100% cotton, they each feature a gorgeous coordinating design of stars and a little teddy standing on a cloud. They’re totally adorable – it’s no wonder babies love Bubba Blue so much. Embroidered with a pattern of stars and clouds. Warm gentle machine wash recommended. Presented as a set of three in a Bubba Blue box. 1 x Flat Sheet – 160cm (l) x 140cm (w). 1 x Fitted Sheet – 135cm (l) x 77cm (w) + 19cm. 1 x Pillowcase – 60cm (l) x 40cm (w). Pattern: Wish Upon A Star.